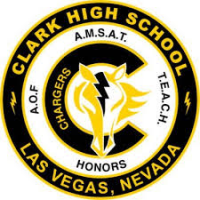 We at the Charger Chant want to welcome you to your 2018/2019 school year at Clark High School. I know- this summer was way too short- but we hope you’ll enjoy yourself as you transition back into your daily school routine. First, we want to start you off with some of our school’s summer accomplishments. Clark’s clubs and classes performed spectacularly at the competitions we attended over the summer! HOSA ILC- Our HOSA team competed at the international HOSA tournament in Dallas! Boys and Girls State- A group of Vegas juniors traveled to Reno for the annual Boys and Girls State summer camps. FBLA-PBL- Clark’s FBLA team traveled to Baltimore for the annual national FBLA tournament. Girls Nation- Clark High School, for the first time, sent representative Aisha Sanwal to Girls Nation! Speech and Debate Nationals- Six of our Speech and the Debate members went to Fort Lauderdale in June. All of these will be posted in the News column within the next few weeks. “Make sure you enjoy your year and focus on your classes. Freshman year will be great as long as you work hard and don’t stress,” says Clark High School senior, Shivam Saran. Our Clark High School sports teams are also some of the best around. Be on the lookout for our articles about the first tennis matches and football games! Although high school might seem scary, Clark High School is an awesome school and a ton of fun. Soon, this place will be just like home. Our dedicated administrators and amazing teachers truly make Clark the best school around. Remember- at the end of the day, you get out of high school what you put into it. We hope you have a fantastic time and enjoy your year!